Legoland Florida, the popular Winter Haven-based theme park appears to have started prep for construction in a new area of the park, according to notes filed with the state of Florida. The new land will replace the World of Chima, which opened in 2013 – it will bring to life Bricksburg, the home town of Emmet, the film’s main hero. As part of the new area, The World of Chima’s Quest for Chi interactive boat ride, which closed in May, “will be completely transformed, drenching guests in an exciting new experience when it reopens as a key attraction in The Lego Movie World in spring 2019,” according to Legoland. The other two rides have not yet been announced. News of the project, codenamed “Project TTKA,” first appeared in an application submitted to the state in April. Merlin North America Project Director Keith Carr didn’t identify the project, but did previously confirm to several publications that the project would open in 2019. The April application stated there would be a 1.24-acre project site that involves the removal of two smaller attractions and the addition of two new rides. 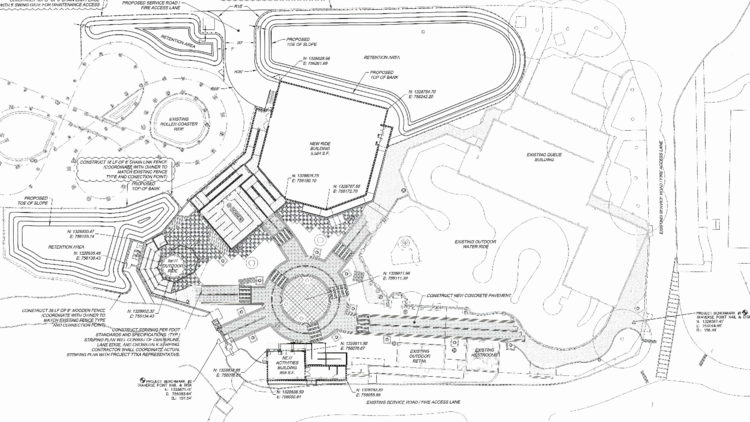 It also revealed that the two new structures are a 5,564-square-foot new outdoor ride and a new ride building. It also includes a new 858-square-foot activities building, which Legoland may be counting as its third new ride.